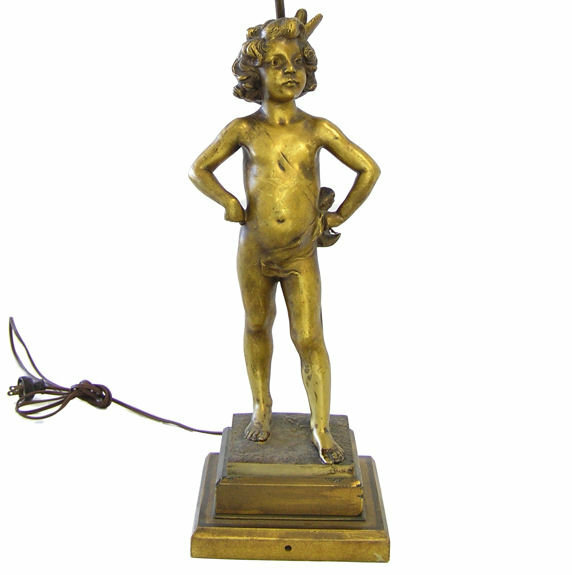 This lovely antique gilt bronze cupid figurine features its original gilt wooden pedestal and was made into a lamp sometime in the early to mid twentieth century. 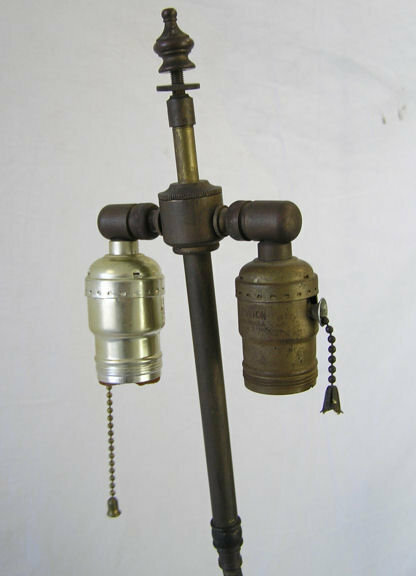 Entire lamp measures 32.5" high, 7.25" wide/deep and weighs an estimated 20 lbs. Lamp is in fine working order. This item resides in Norwalk CT 06854 and may be seen by appointment. Thanks for visiting. Please let us know if you have any questions or comments. Additional images gladly forwarded upon request. 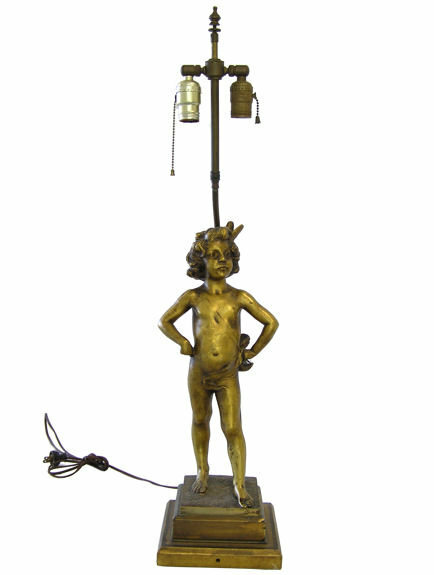 Items Similar To "Dore Bronze Cupid Putti Table Lamp"